The L.I.A.R.S host regularely scheduled meetings the second Thursday of every month. Click here for more information about meeting dates, times, and directions. Thanks to all who participated and congratulations to this years winner, Steve S.! The winner of the 2019 Chili Fly received a Horizon Hobby Sport Cub, donated by our own Pat L. Click here to see a few more pics! 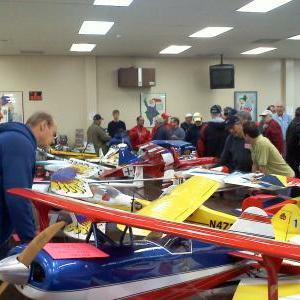 The Westchester Radio Aeromodelers will be holding a Spring swap-meet in Yorktown Heights, NY. Please click here to see the flyer with the full details. The Whitman Flyers will be holding a swap-meet in Melville, NY. Please click here to see the flyer with the full details.